The purpose of this research is to identify and explain the barriers to application of information technology (IT) in physical education course in schools of Iran- Zarand and to review the current status and determine its significance. The statistical population comprises of all 80 physical education teachers in Iran- Zarand and statistical sample is selected equal to statistical population. Data collection is done by researcher-made questionnaire whose face and content validity is confirmed by experts and its reliability is calculated by Cronbach's coefficient Alpha as 91%. For data analysis, Factor analysis together with Varimax Rotation, One Sample T–test and Friedman test are utilized. According Factor analysis 7 factors are identified and named Human, Facility-equipment, Technical, Cultural, Financial, Professional ability and Payment-fringe benefit factors. Review of current status shows that all said factors exist as barriers from among which human factor is known as the most important and payment and fringe benefit known as the least important barriers to application of IT in physical education course in Iran- Zarand. Prioritizing these factors may help the officials in physical education selection of Education and Training Organization in their planning issues to pay considerable attention to the application of IT. Information Technology (IT), Factor Analysis, Human Barrier, Salary Payment-Fringe Benefit Barrier. Baroo,L.,Markman,L & Rouse,C.E. (2009). Technology edge: The educational benefits of computer- aided instruction. American Economic Journal,Economic Policy , 52-74. ISNAD Razaghi, Mohammad . "Identify and explain the barriers to application of information technology (IT) in physical education course in schools (Case Study)". 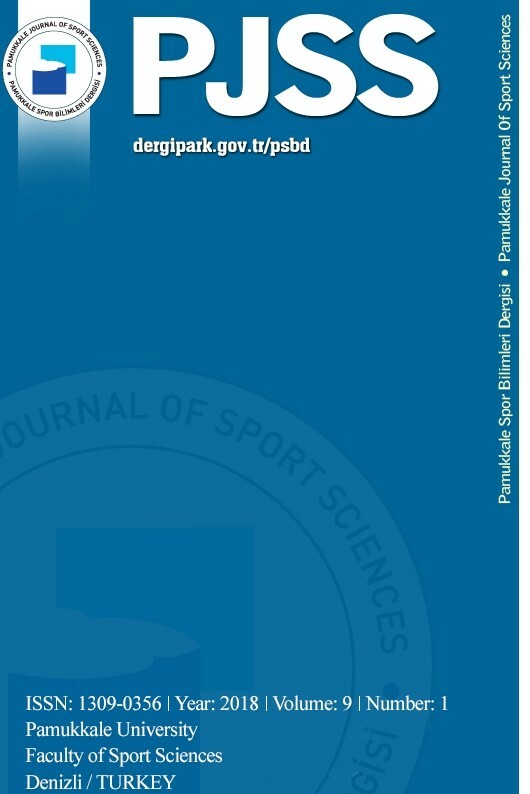 Pamukkale Journal of Sport Sciences 5 / 2 (May 2014): 1-10.